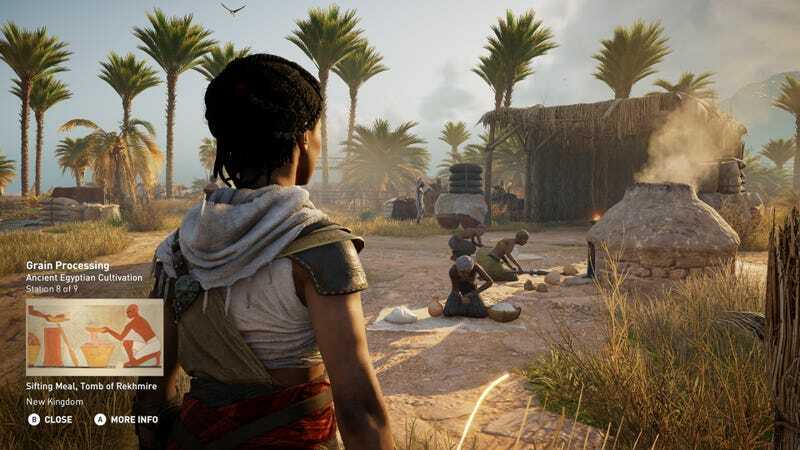 Assassin’s Creed Origins’ new non-violent educational mode will feature 75 historical tours that range from five to 25 minutes, according to an official Q&A. They’re set in the game’s open world and cover mummies, cultivation, the Library of Alexandria and more. Discovery Tour will be free for Origins owners on Feb. 20 (or $20 as a standalone PC purchase).